Shop form any beach resort online now! Clubwww1 users enjoy additional discounts and services when bookings are directed through us. 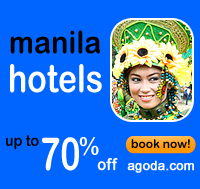 The Philippines is one of the greatest Asian destinations. It offers some of the most exhilarating vacation activities and destinations ranging from the exciting to the exotic. It offers spectacular philippine resorts & beaches that offer many unique qualities and recreational possibilities for any taste. Most who make the journey to the 7,107 islands that comprise the Philippines are pleasantly surprised by its beauty and by the friendliness of the people. Internal bookings and travel arrangements. Perfect treat for those who take pleasure in the summer hat of the sun. 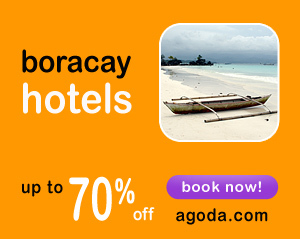 It boasts of white sand beaches with azure crystal-clear waters and amazing sunsets. It has some of the great windsurfing and diving waters in the world. It is also a perfect setting for romantic hideaways or nature tripping. January, May and December are the best months to visit the Philippines if colorful celebrations and fiestas are on your list of 'purpose for making the trip'. If your itinerary includes visits to the rice terraces in North Luzon, the best time to do this would be in March and April as the weather is pleasantly warm. Apart from that, these warm summer months are also ideal for island hopping. Do be advised that for those who can't take the heat, the month of May can be quite an experience of warm discomfort. 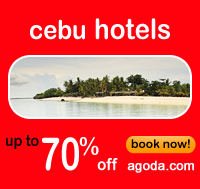 Philippines is blessed with a tropical climate that has relatively generous amount of rainfall and gentle winds. Basically, there are three noticeable seasons namely the wet and rainy season (June-October), the cool but dry season (November-February) and the hot and dry season (March-May). The golden rule of traveling is to bring as little of your belongings as possible. Fortunately, most of the things that you might require are easily available upon arrival in the Philippines. The Philippines is made up of about 7,107 islands covering a land area of 115,737 sq. m. The Main island groups are Luzon, Visayas, and Mindanao. with the Capital being Manila. Time Zone is GMT + 8 hours. March to May is hot and dry. June to October is rainy, November to February is cool. Average temperatures: 78°F / 25°C to 90°F / 32°C; humidity is 77%. Travel Philippines details essential Tips for Holidays in Philippines. We cover:Philippines Apartments, Philippines B&B's / Guest houses, Philippines Cabin / Chalet, Philippines Condo's, Philippines Cottages, Philippines Hotels, Philippines Vacation Homes, Philippines Villa's, Philippines Airports. The Philippines is a wonderfully varied culture, the country also has enough climatic changes that would require a wide variety of clothing. It is advisable to bring light and loose clothing that are suitable for tropical temperatures when visiting the cities of Philippines. Planning your next holiday to the USA? Save up to 20% on tours and attractions. Click Here!